At 10:35 UTC (5:35 AM EST) on December 5, 2006, one of the largest solar flares of the last 25 years erupted. While a flare classified "X1" is considered intense, this flare was rated as X9. There was considerable speculation about what effect this flare might have on the earth. NASA has an article about it here. This is the only such dip in strength seen in over a year's worth of data. 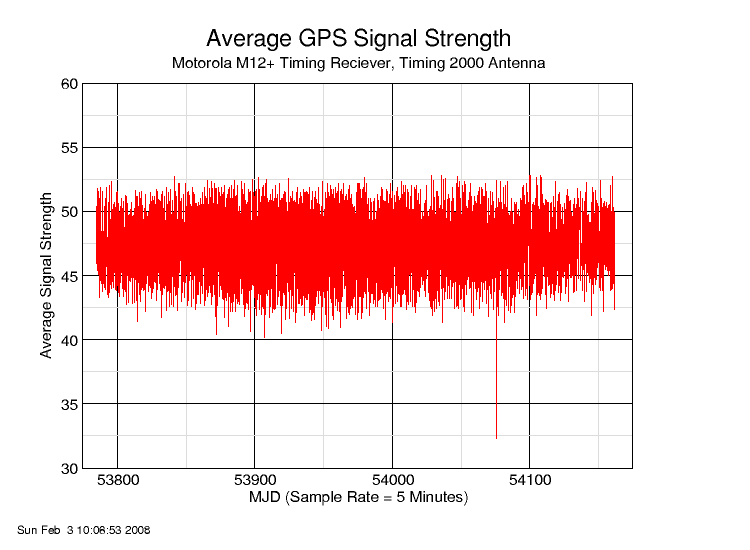 The signal reached a minimum of 31.43 at MJD 54075.820556. That's 19:41:36 UTC, or about 9 hours after the event. 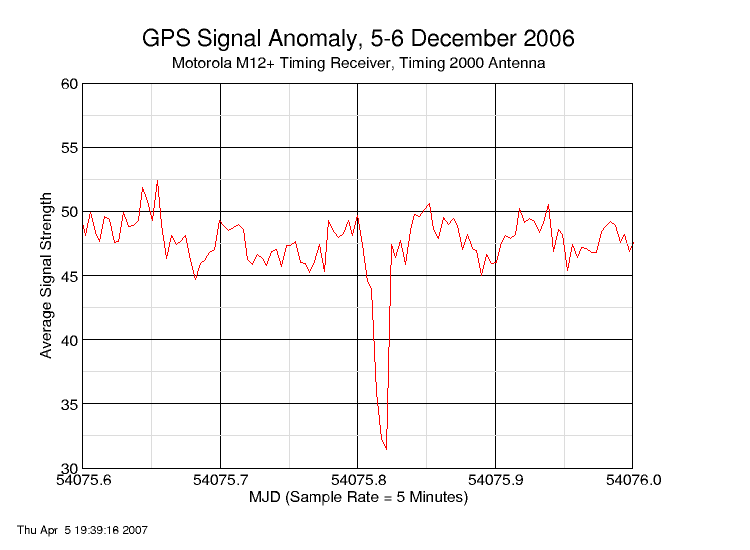 The average signal strength recorded over 377 days was 47.56, so this is a significant event.